Home › Resources › Articles & Reports › Building a Waterpark › 5 Ways To Market Your New Waterslide! 1. Update your online website / directories. Updating your hotel’s online information is extremely important. In this day and age everyone is doing their research online, including finding and booking hotels. This may seem like a no brainier but you would be surprised on how many hotels do not update their online persona with new amenities. 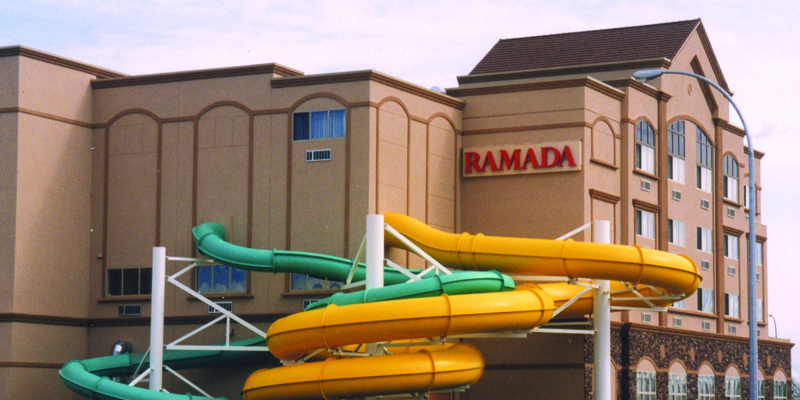 Adding a sign to your hotel advertising your waterpark is not only going to help bring in travelers that are passing by looking for a hotel, but it is also going to inform the local community. Boost your revenue by having a waterpark-only fee. Put a press release in your local paper, or take out advertising space. If you are planning a birthday party program, make sure to put that in the advertisement. Make sure your brochures and other print material are up to date. Don’t have a brochure or a flyer? It is time to get one. Bring a flyer to the schools, churches and community centers in your area. Hotels with waterparks are a big plus for traveling sports teams, and other youth activities.